Eike Fuhrken Batista da Silva was born on the 3rd November 1956, in Governador Valadares, Minas Gerais, Brazil, and is a businessman probably best recognized for being the chairman of the Brazilian conglomerate EBX Group, which includes five companies – OGX, MPX, LLX, MMX, and OSX. His career in the business industry has been active since the 1980s. Have you ever wondered how rich Eike Batista is, as of late 2016? 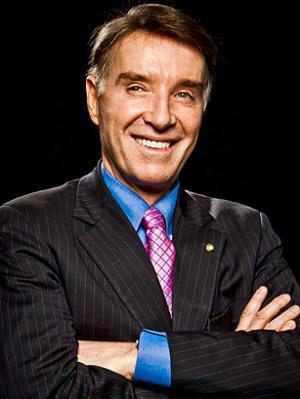 According to authoritative sources, it has been estimated that the total size of Eike’s net worth is equal to (minus) -$1 billion; in 2012, his net worth was over $30 billion, making him the 7th richest man in the world and the richest in Brazil, accumulated through his career in the business industry. However, his net worth is currently negative, as his company suffered a catastrophic collapse. He also released the book “The Heart Of The Matter” (2011), which helped increased his net worth. Eike Batista was raised with six siblings in Brazil by his father, Eliezer Batista da Silva, who was a businessman, Minister of Mines and Energy, and a former president of Companhia Vale do Rio Doce, and his mother, Jutta Fuhrken. While he was in his teens, the family moved to Europe, and lived in Geneva (Switzerland), Düsseldorf (German), and Brussels (Belgium). Upon matriculation in 1974, he enrolled at the Rhenish-Westphalian Technical University of Aachen in Germany to study metallurgy, while his parents returned to his hometown. While studying and living in Germany, Eike began to earn money by selling insurance policies from door to door, but returned to Brazil in the 1980s, and started working in gold and diamond trades. Little by little, his name became known as one of the best salesmen, and he soon earned enough to start a gold trading firm, AutramAurem, and after only a year and a half, Eike had earned $6 million. After that he started another, bigger company, EBX Group, and firstly implemented a mechanized alluvial gold mining plant in the Amazon, which added a considerable amount to his net worth. When he was 29 years old, Eike was appointed as the CEO of TVX Gold, the mining company being listed on the Canadian Stock exchange, giving him much needed knowledge about and access to global capital markets. His EBX Group saw the light of the day in 1984, and until 2013 his net worth only increased; through EBX Group, Eike started several more companies, including OGX (oil and gas), MMX (mining), LLX (logistics), OSX (offshore services and equipment), NRX Newrest, Gloria Place, MDX, PINK FLEET, with operations throughout Brazil and South America. However, recently the values of his companies have dropped enormously, particularly OGX, such that he is now trying to rebuild his businesses, and raise himself out of personal debt. When it comes to speak about his personal life, Eike Batista was married to model Luma de Oliveira from 1991 to 2004; they are the parents of two boys. His current residence is in Rio de Janeiro, Brazil. In his free time, he enjoys swimming, running, and he practices marine sports. He is active on his official Twitter account, on which he has a huge number of followers.